There is a certain magic about the North East Mountain Trust that links us to the heritage of our mountains. It has always been there and you can hear it when listening to the likes of Adam Watson and Drennan Watson. 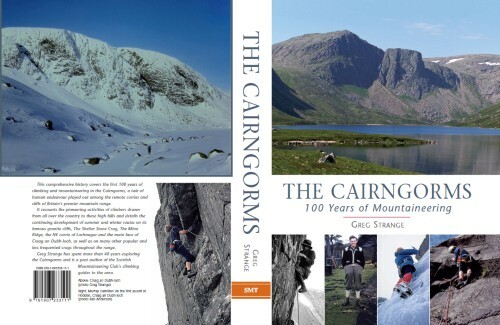 It never stronger however than that evening in February 2007 when Greg Strange gave his NEMT lecture entitled "From Dylan to Madonna - the quickening pace of Cairngorm Climbing" to a packed out hall. Here George Allan gives us a review of Greg's new book. What is immediately striking is both the depth of research Greg has undertaken to compile this history and the photographs. Climbers love snapping each other, particularly in extremis, and a good thing too as it has allowed a huge selection of historically important photos to be assembled. Following the same format as the second edition of the history of the Ben, the production is of high quality. 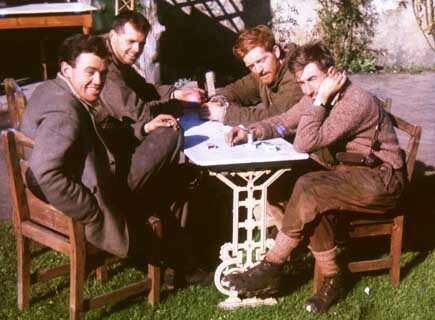 Whilst some of the stories, such as Murray's and Bell's day on Lochnagar and many of Patey's climbs, are well known, one of the great pleasures in reading a comprehensive history is filling in the gaps. For example, I knew little of John Bower's purple patch forty winters ago or the campaign to open up the cliffs south of the Dee in the late 1920s and early 1930s. With regard to the latter, Roy Symmers, Bill Ewen and the feisty Nesta Bruce will have been for many people, I am sure, just names in the back of the guide book. Their exploits are now brought vividly to life and preserved for posterity. Greg fleshes out the stories of the climbs with pen portraits of the climbers, information about the bothies and a commentary on changing styles and ethics. It is fascinating to discover that pre-inspection is nothing new, Raeburn was lowered down the top of Douglas Gibson to spy out the possibilities! The conservation controversies are not ignored either. The arrival of the National Park is noted, but without huge enthusiasm, and the telling point is made that much damage is being inflicted simply by our boots - we are loving our hills to death. Greg makes it clear that this is a history of the first century and he draws things to a close in 1993. A final chapter would have brought things fully up to date. Whilst recent developments on rock have been limited, there have been extraordinary adventures on the central slabs of the Shelter Stone and the right wall of the Lum. In winter, mixed climbing, often at the highest levels, has continued apace across the range and Coire an Lochan has remained a forcing ground. All this will have to wait until the second edition. This is not a book for those looking for general information about the Cairngorms. However, anyone with more than a passing interest in human endeavours in those lonely corries will either already have the book or will want to make sure it is in their Christmas stocking.